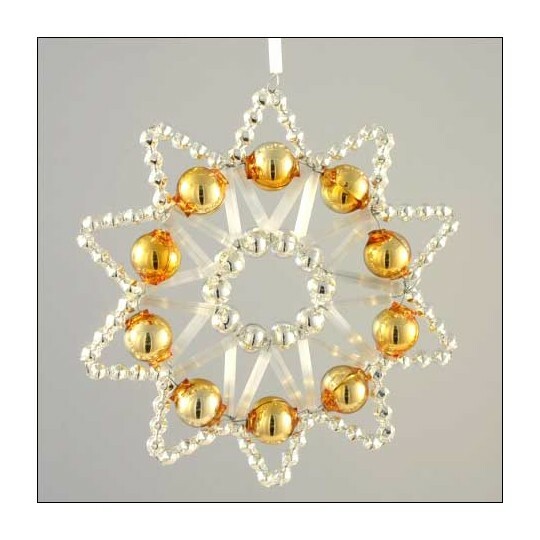 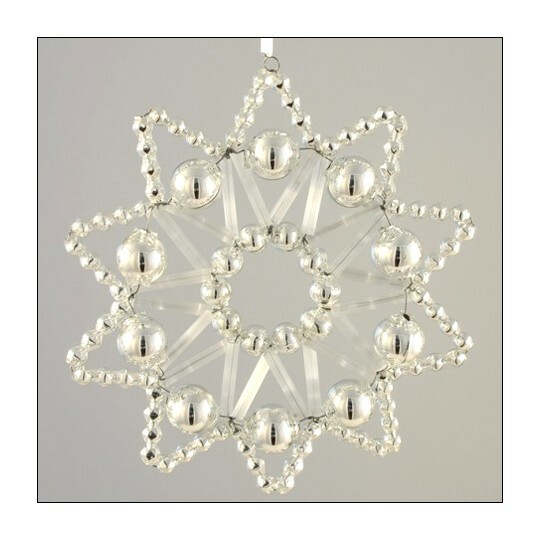 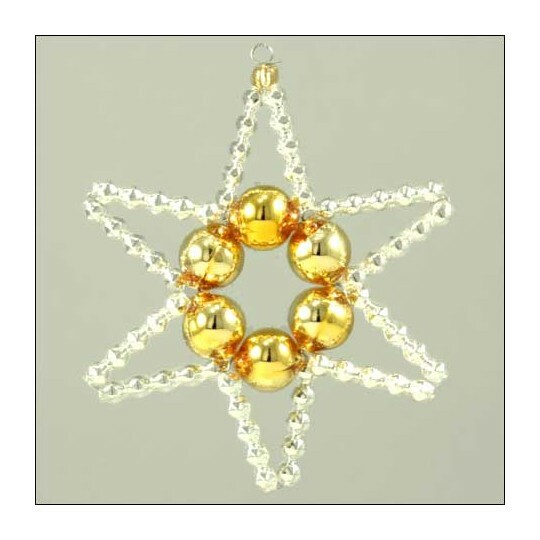 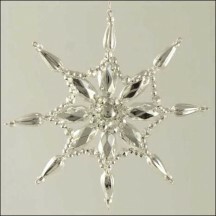 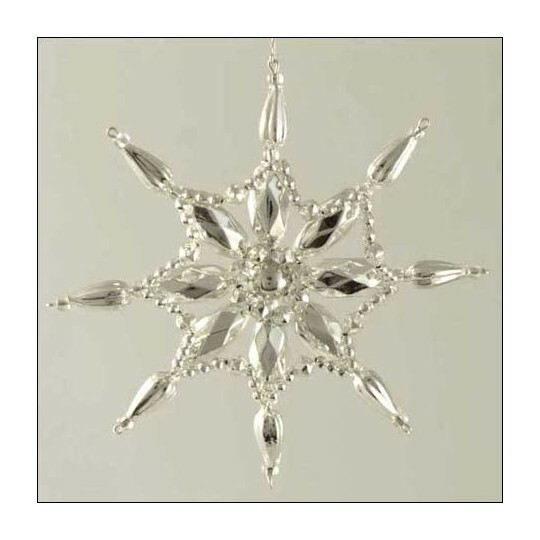 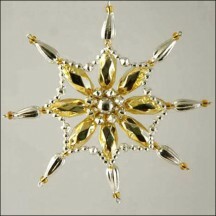 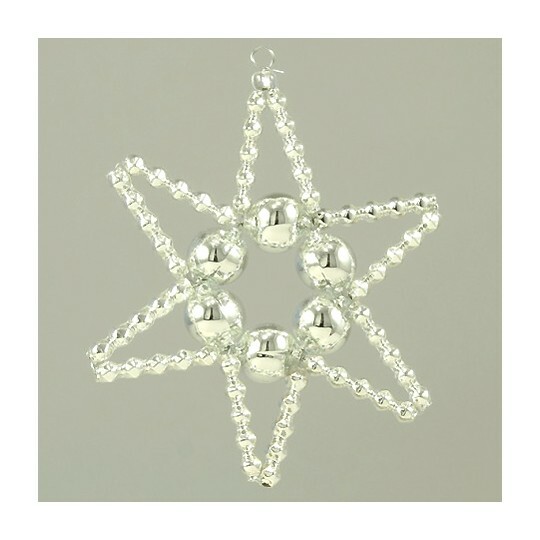 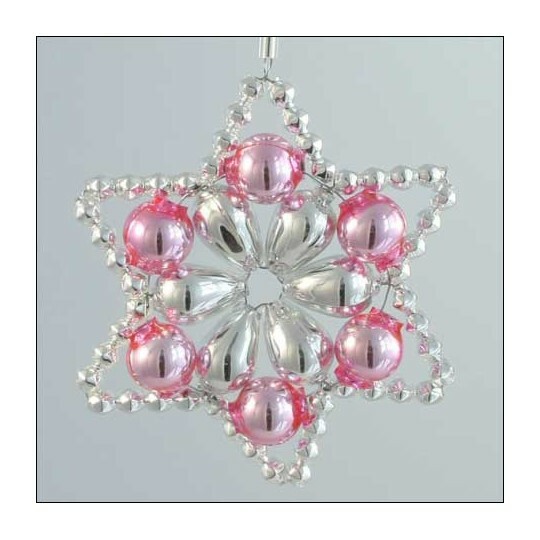 This project kit contains all silver blown glass beads and materials to create one flower star ornament as pictured. 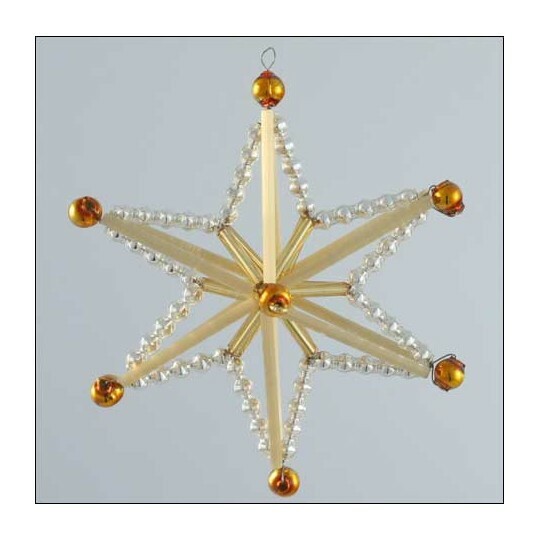 Completed star measures approximately 2-1/2" across. 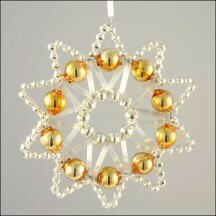 Beads are hand blown in the Czech Republic. 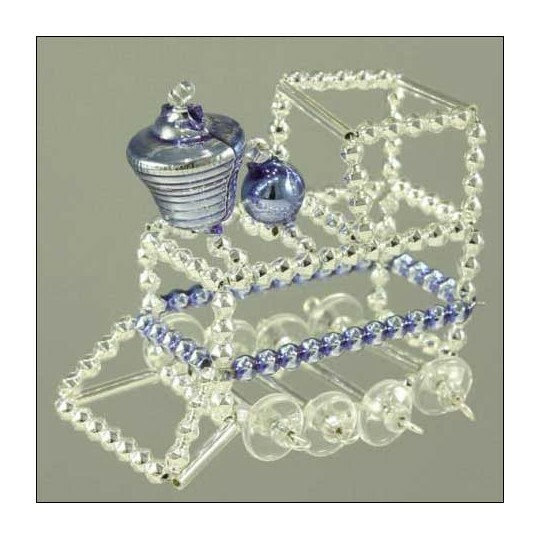 This kit contains an instruction sheet with illustrations. 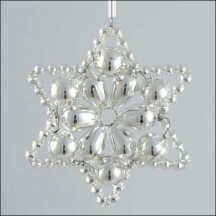 Please note that the instructions are in Czech, not English, but the star can be assembled by following the illustrations. 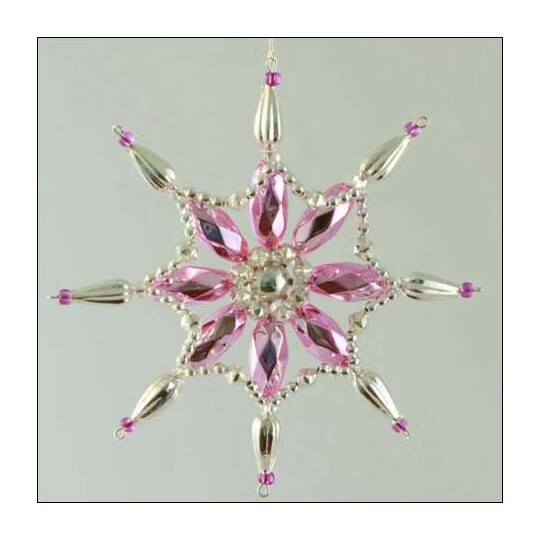 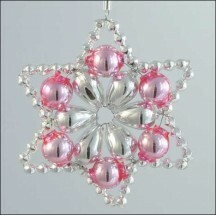 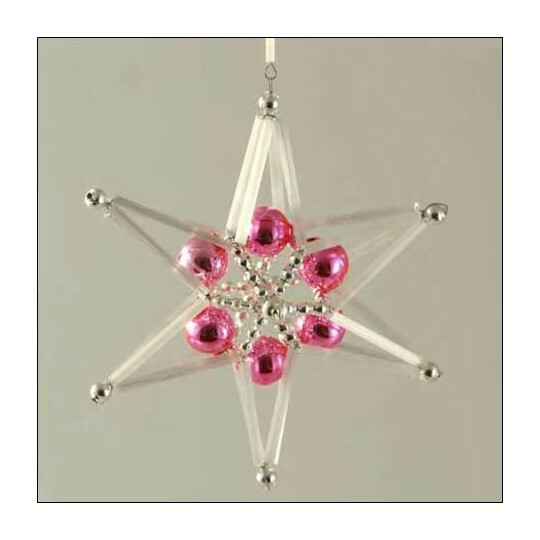 This project kit contains silver and pink blown glass beads and materials to create one flower star ornament as pictured. 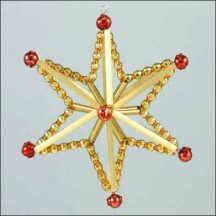 Completed star measures approximately 2-1/2" across. 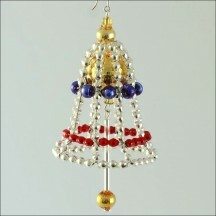 Beads are hand blown in the Czech Republic. 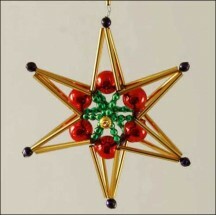 This kit contains an instruction sheet with illustrations. 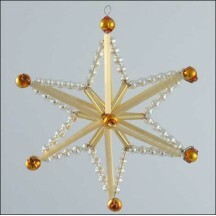 Please note that the instructions are in Czech, not English, but the star can be assembled by following the illustrations. 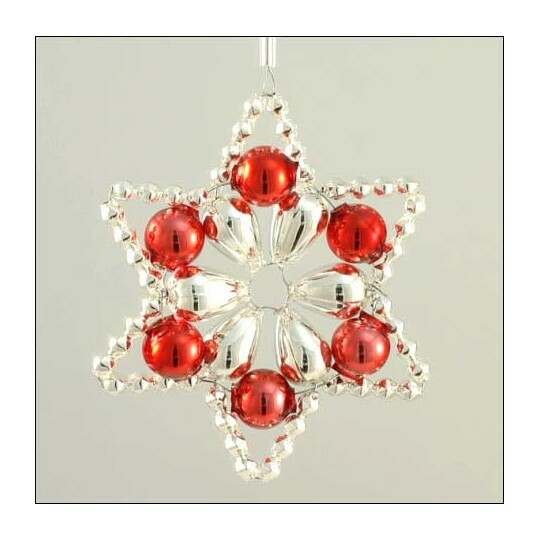 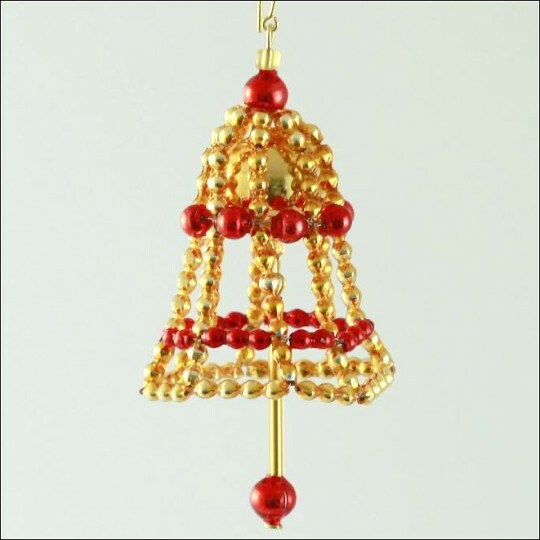 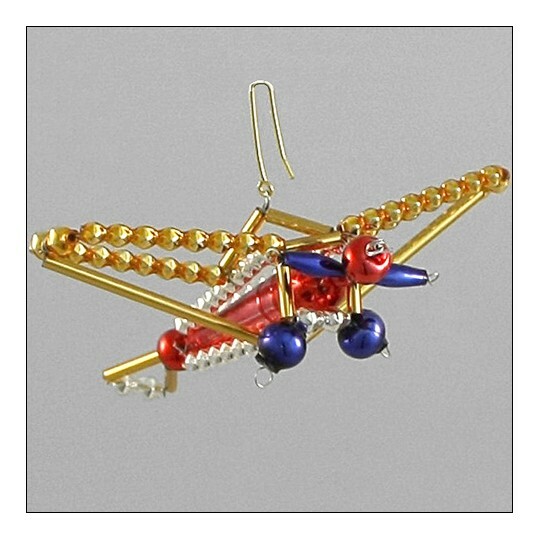 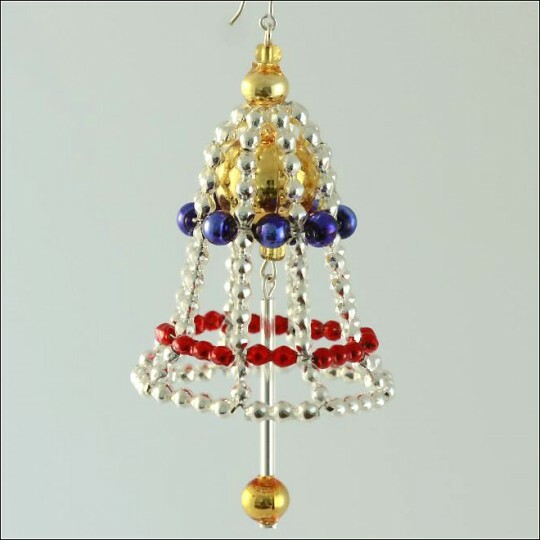 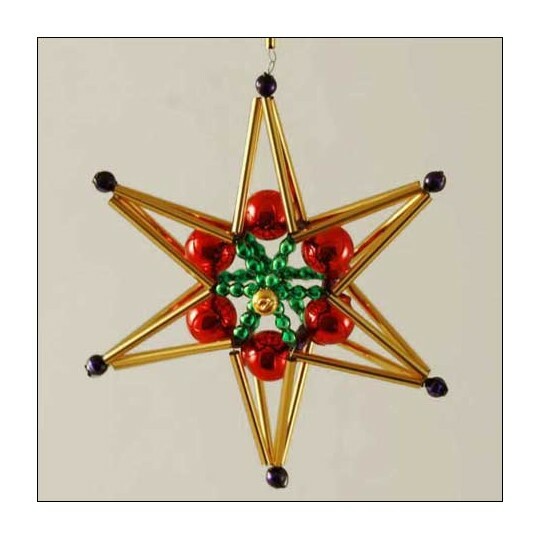 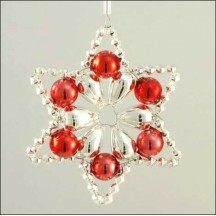 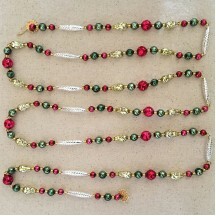 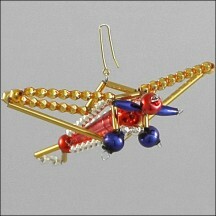 This project kit contains silver and red blown glass beads and materials to create one flower star ornament as pictured. 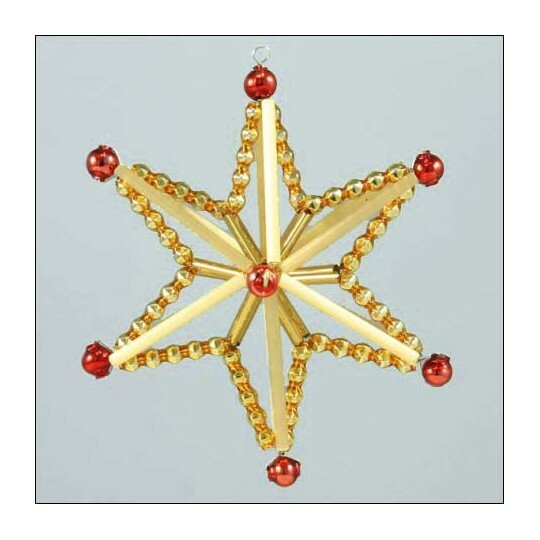 Completed star measures approximately 2-1/2" across. 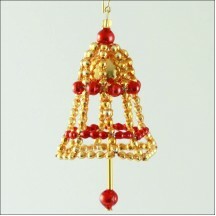 Beads are hand blown in the Czech Republic. 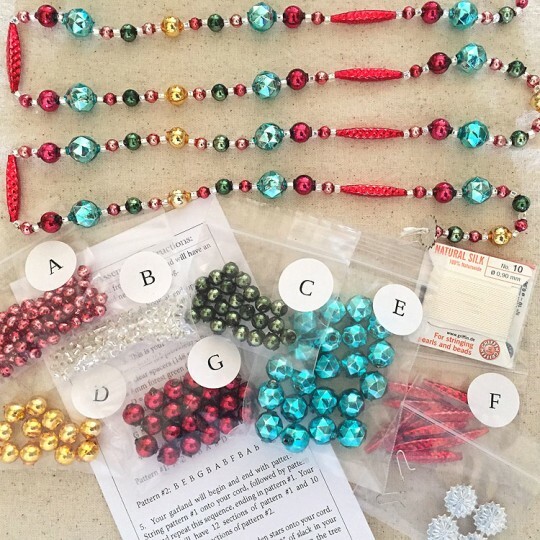 This kit contains an instruction sheet with illustrations. 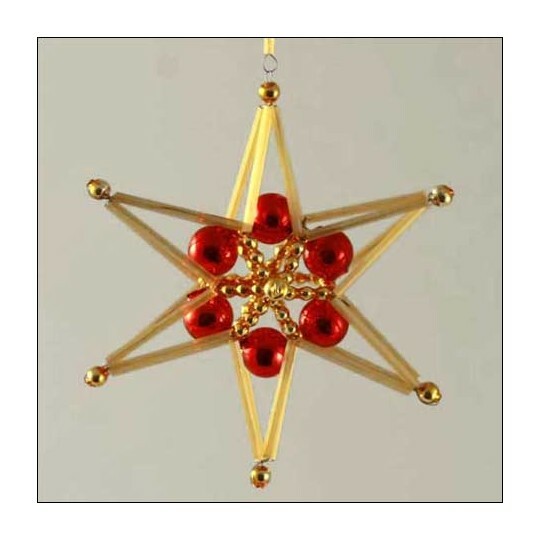 Please note that the instructions are in Czech, not English, but the star can be assembled by following the illustrations. 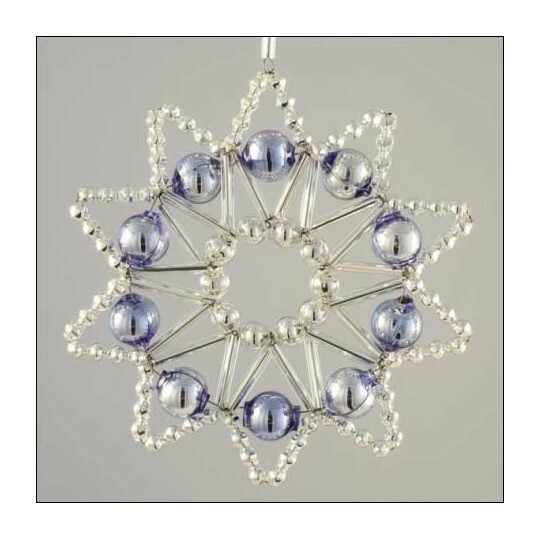 This project kit contains blue and silver glass beads and materials to create one lace star ornament as pictured. 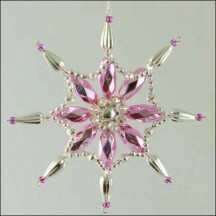 Completed star measures approximately 3" across. 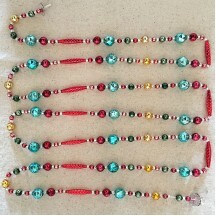 Beads are hand blown in the Czech Republic. 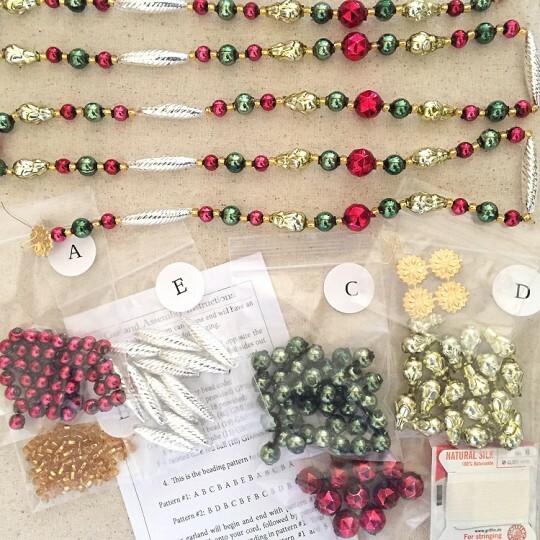 This kit contains an instruction sheet with illustrations. 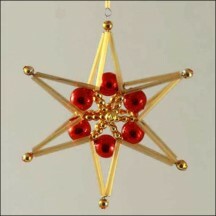 Please note that the instructions are in Czech, not English, but the star can be assembled by following the illustrations. 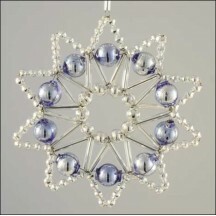 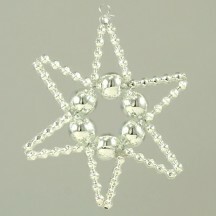 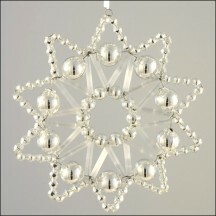 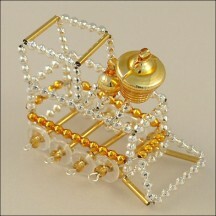 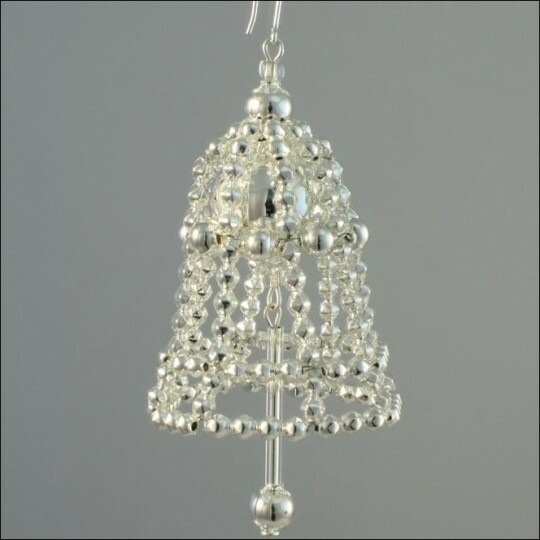 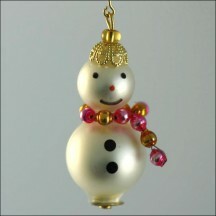 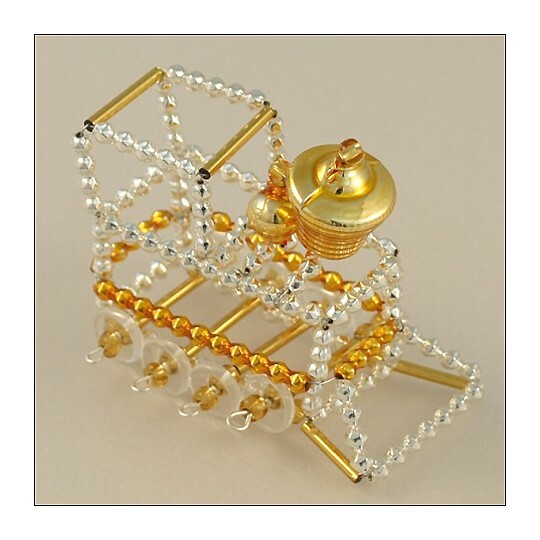 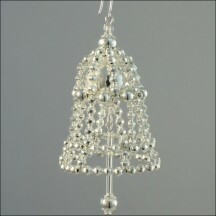 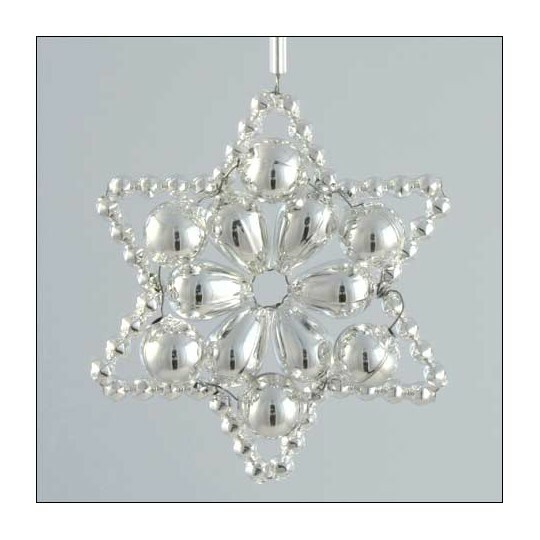 This project kit contains matte white and silver glass beads and materials to create one lace star ornament as pictured. 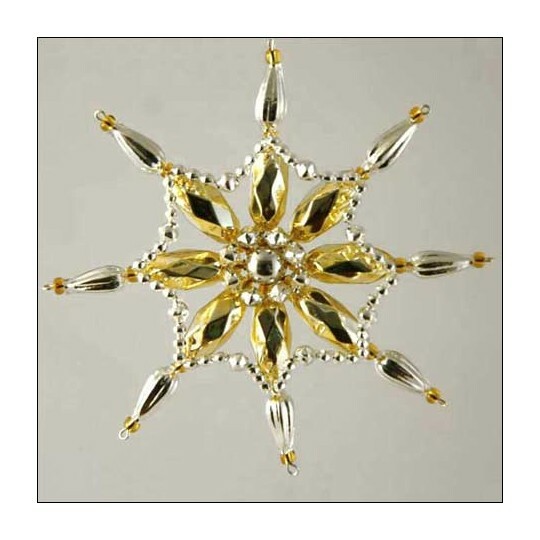 Completed star measures approximately 3" across. 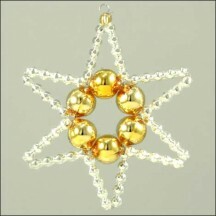 Beads are hand blown in the Czech Republic. 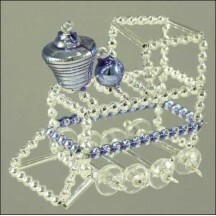 This kit contains an instruction sheet with illustrations. 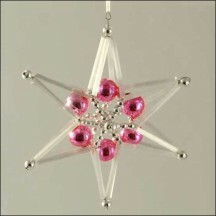 Please note that the instructions are in Czech, not English, but the star can be assembled by following the illustrations.